At the tender age of four JESSICA heard the sweet sounds of the violin and she was mesmerized, as this sparked her love and passion for music. She began her study of the violin and through the years this instrument has taken her to perform in Europe, England, and all through out the United States. She has placed and won awards in competitions such as the North Carolina Music Teacher’s National Association, American String Teachers Association, Tar River Symphony Concerto Competition where she won and debuted as a soloist with this symphony. She was awarded a scholarship to study at Brevard Music Center and then awarded a full scholarship to attend Florida State University, where she received her B.M. in violin performance. Jessica was then accepted to the Boston Conservatory where she studied for the Graduate Performance Diploma. Her teachers include Nancy Kostek, Joanne Bath, Eliot Chapo, Lucy Stoltzman and she has participated in masterclasses with Fritz Gearhart and Donald Weilerstein. Not only is she a performer, but she is Suzuki certified in Every Child Can! and Suzuki Violin Volumes 1 through 3. She has received teacher training with Liz Arbus and Carrie Reuning- Hummel and continues to work on her certification. Jessica has been on faculty at Cornerstone Music Conservatory and the Hermosa School of Music and Dance. She also serves as a violin coach at Hamilton High School and has coached the violin section at the Westside Youth Orchestra. Currently Jessica is the conductor of the Westside Waldorf Middle School orchestra and teachers strings to grades 3 through 8 at the Waldorf School. Jessica also has a studio in her home where she teaches private lessons to children and adults of all ages. Her private students have won awards in The Topanga Banjo and Fiddle Festival, local concerto competitions, and her students also perform in many youth orchestras in the Los Angeles area. 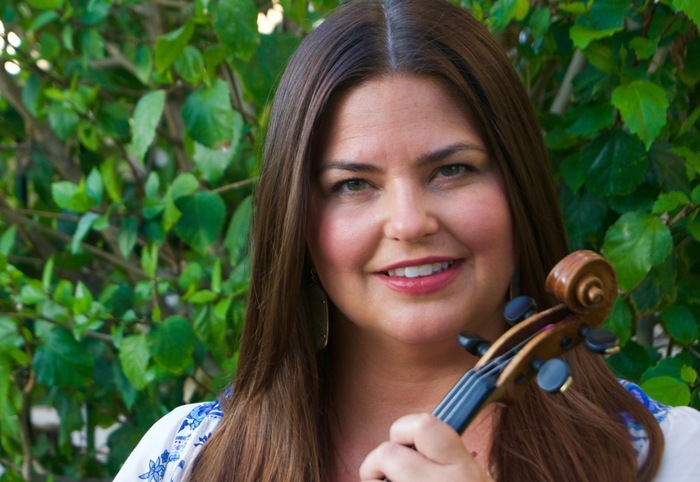 Jessica is a member of the Suzuki Association of the Americas, American String Teachers Association, and Association for Waldorf Music Education. When Jessica isn't conducting or teaching she performs in area symphonies and has also recorded on several albums for local bands. She currently performs with the Culver City Symphony, Marina del Rey symphony, Peninsula Symphony, and has in the past performed with Beach Cities Symphony, Chamber Orchestra of the South Bay, Santa Monica Symphony, and the Brentwood Symphony. Jessica enjoys spending time with her three children and husband, hiking, home decor, fiddling, and traveling. Jessica is hoping to add yoga to this list very soon!